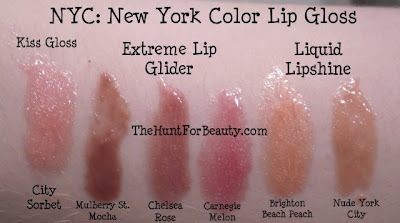 For as long as I can remember, NYC Liquid Lipshines have come in thin, square packaging that just screamed cheap. I tried a couple a few years ago and I really disliked them. They had a strong soap/perfume scent, the formula was really thick and sticky, they were insanely frosty, and the doefoot applicator was uncomfortably hard and scratchy. Recently I heard that NYC had repackaged and reformulated these, and I was given the chance to try the new formula. Right off the bat, I have to say the packaging is much nicer. The new tube is oval, and with the updated print, no longer has a cheap feel. The applicator is great...it's a flat spatula-like wand. It reminds me a lot of Revlon's Colorburst gloss applicator. The new glosses are noticeably thinner and feel much nicer on the lips than the old ones did. They're not sticky at all, but they wear very well and have good lasting power. Much more than I would expect for a gloss with a $2.49 price point. The shades I have are pretty sheer, which I love. There's a slight micro-shimmer that adds shine and dimension, but none of the excessive frostiness that the old ones had when you applied them. 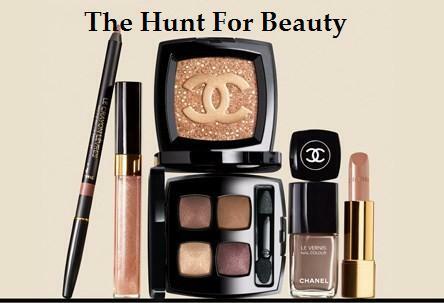 There's also no gritty feel in any of the shimmery shades. As for scent, huge difference. The new formula has a pleasant and slightly sweet, caramel-like scent that fades a little while after application. The soapy, perfume-y, something-that-shouldn't-be-on-my-lips scent of the old ones is a thing of the past. Overall, these are 100% better than they used to be. Would I recommend these? Definitely. For $2.49 drugstore glosses, these are really nice. I would even venture to say that they're nicer than some of the higher-end $7-8 drugstore glosses I have tried. Good job, NYC! I had seen these in the drugstore a few times before I started to hear things about them. 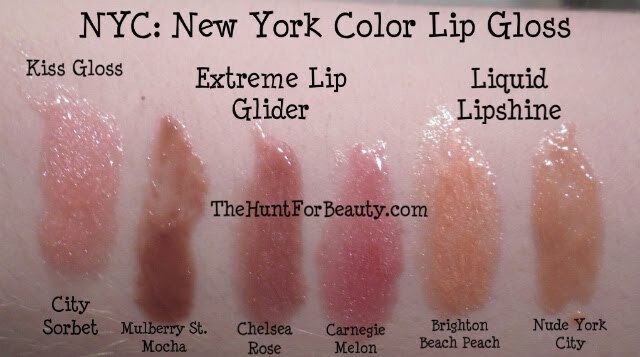 They immediately reminded me of Urban Decay's Ultraglide Glosses just from the tube similarities, but I never really paid much attention to them because the colors all looked a bit dark for my liking. 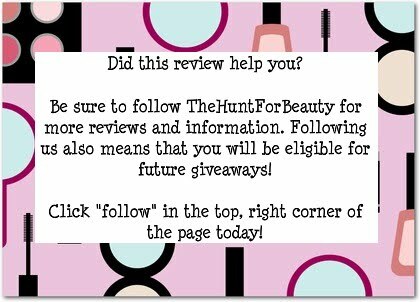 However, when reviews started to come out, I heard they were very sheer which is a huge plus in my book. I was recently given the chance to try these, so I jumped on it. I must say, though I have never tried UD's Ultraglide glosses, these feel like they could have the same $17 price tag. I am very impressed with the quality of these for drugstore glosses that cost a mere $4. They have a similar feel to a few of my much more expensive glosses, specifically Chanel Aqualumiere Glosses and Hourglass Prodigy Glosses. The applicator is very effective, too. I usually hate slant-tip tube glosses because I feel like it's hard to control the application and get the gloss where you want it. The difference with these is that the tip is rubbery and very small, so it's not like you're moving a huge piece of plastic over your lips while not being able to see the gloss coming out. I actually didn't mind the slant-tip on these at all. The gloss comes out perfectly...you don't have to apply a lot of pressure, and they don't ooze out from the slightest touch. There's a definite strong scent similar to that of a watermelon Jolly Rancher mixed with generic "melon" scent, which you will notice immediately upon opening the tube. It does fade fairly quickly after applying the gloss though, so if scented glosses aren't your thing, don't fret. There's no flavor as far as I could tell. The lip feel is where these really shine. The formula is lightweight and super smooth...in fact, it feels like butter on your lips. There is no stickiness whatsoever, but it still has decent lasting power and doesn't slide around on your lips. In my opinion, it's perfectly between thick and thin. The ones that have shimmer don't have a gritty feel on the lips, and it's subtle micro-shimmer that adds dimension without screaming teen glitter. These are definitely my favorite out of all the N.Y.C. glosses, and I highly recommend that you give these a try. Considering the fact that they're only $3.99 to begin with and you can usually find N.Y.C. on sale, these are really worth it. 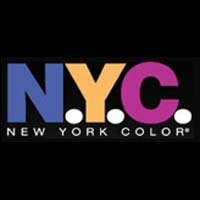 N.Y.C. Kiss Gloss is your basic grab-and-go gloss that you can toss in your purse and be set for the day. The packaging of these is a drawback for me, as I really do dislike slant-tip applicators like these, but that's just me. I know there are lots of people who actually prefer squeeze tube glosses, so I won't take that into consideration. The slant-tip works fine, it's just not my favorite. It's designed this way for practicality anyway, so that you can easily apply these without a mirror. There's a scent, and to me, a flavor. I have the shade "City Sorbet," and I don't know what it's supposed to smell/taste like, but to me it's like a wet-nap. I assume it's some sort of lemony-citrus scent. Both the smell and taste fade fairly quickly though, so it's not a big deal to me. The Kiss Gloss formula is the stickiest of the bunch, but that also means it's the most long-wearing of the bunch. It's not extremely sticky, but sticky enough that you are aware it's on your lips at all times. It doesn't feel quite as moisturizing as the other two, but I never feel like long-wearing glosses are. "City Sorbet" is packed with micro-shimmer, as you can see by the swatch below. However, just like the other two, it still just adds dimension and shine. It doesn't come across as over the top glittery teen gloss, which seems like a possibility when you look at the gloss in the tube. There's also no gritty feel, you can't tell there's any kind of glitter/shimmer. Would I recommend these? It depends on what you're looking for, really. If you don't mind stickier glosses with a scent/flavor and/or squeeze tubes, yes. If you're looking for non-sticky glosses that you tend to not feel on your lips, no. For $2.99, they're not bad, but personally i'd rather spend the extra $1 as I much prefer the Extreme Lip Glider glosses.